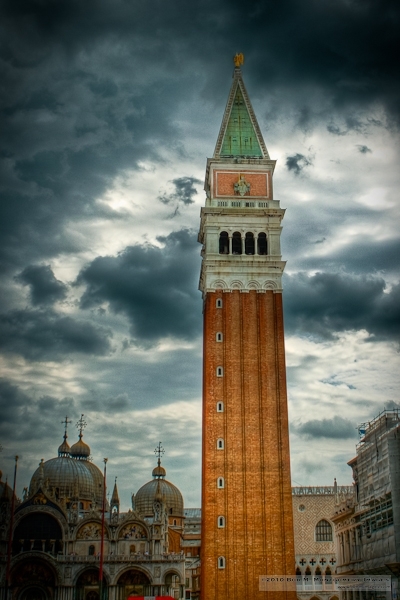 The Campanile di San Marco on the Piazza San Marco in Venezia, Italia. Getting a shot of anything in this square that isn't loaded with tourists during the day is nearly impossible, and if you get in nice and close on the larger version, you can see throngs hanging out of the tower windows, but still, you can imagine it empty, can't you? Sorry for the delay in posting. Technical difficulties cut me off from posting yesterday, so you get a double-header, in effect, for today. Enjoy!